Ware College House occupies the center portion of the University’ historic dormitory, The Quadrangle, and includes Morgan, Wilson, E.F. Smith, Coxe, Rodney, Bodine, Morris, Speakman, Butcher, Chesnut and McClelland Halls, as well as the quadruple-turreted Memorial Tower. Most of the buildings that today comprise Ware College House were built in 1895-1900, during the first construction campaign in the Quad. The architects Walter Cope and John Stewardson delighted in mixing late medieval forms, (like the distinctive decorative carvings that are called “bosses” but are often mistakenly called “gargoyles”) with early Renaissance details, like the triple archway that connects Bodine and Morris to the rest of the House. This breezy eclecticism had gone out of fashion by the time Butcher and Speakman (and the adjoining Class of 1928) were constructed in a simplified but compatible architectural style in 1954, during the University’s completion of the Quadrangle complex. Established as a College House in the 1970s, Ware was named in honor of Congressman John H. Ware III. A 1930 Wharton graduate, he was a state senator and U.S. representative, a community activist and a visionary philanthropist. Ware was founded as the University’s Health and Society Residential Living Program, at a time when only a few hundred of Penn's 10,000 undergraduates lived in College House communities. Ware’s founder, John H. Ware III, had delineated a vision of a health-related College House due to his interest in diabetes research. In 1998, Ware joined Penn's transition to a College House system that includes all the undergraduate residences, and offers several residential programs in each house. Today, the Ware family continues generous support for the residents of the House. 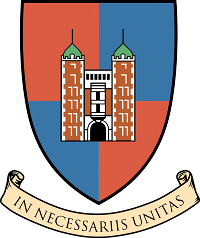 The House motto, In Necessariis Unitas, is Latin for "Unity in Necessary Things." 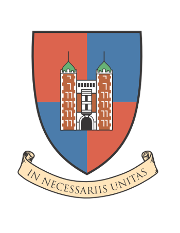 This is the first clause of a three-clause maxim In necessariis unitas, in dubiis libertas, in omnibus caritas -- "in necessary things unity; in uncertain things freedom; in everything compassion." Often attributed to St. Augustine, this slogan was in fact first used by the Archbishop of Split in 1617. Whatever the source, it's often quoted in defense of religious freedom, and more broadly on behalf of pluralism and open-mindedness. We like to think that all three clauses apply to the social and intellectual life of Ware College House.